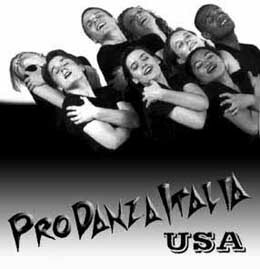 The dancing school PRO DANZA ITALIA / USA under the management of Pola Chapelle arranges courses in "Modern Dance" from the 3rd to 30th of July. 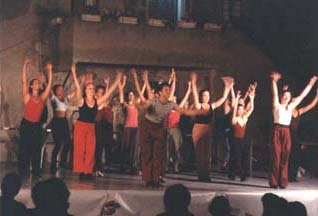 Dancing techniques are taught by renowned Maestri from America and Italy who come from well-known dance academies in their home-countries. Lessons take place in the theatre of the Castello Pasquini. The courses are designed to suit experienced dancers as well as beginners. Dances include: Modern Dance, Passo a Due, Modern Jazz, Afro, Tip Tap, only to mention a few. To supplement these dancing lessons, the schools arrange a huge variety of events that are guaranteed to make your stay in Castiglioncello an intriguing mix of holiday, entertainment and meeting point for people and dancers from all over the world. The exclusive stage in the park of the Castello is an inspiring platform for the artists, dancers, and actors. To conclude this experience, a dancing performance organized by the participants will be staged, in which all participants will have the chance to express and relive their experiences and feelings during this holiday. "The more the days go by, the more I feel it was like a dream that we were dancing in Castiglioncello. I love dancing. I love it even more after dancing in Italy." "My experience at Pro Danza Italia/USA gave a jumpstart to my teaching, and invigorated me as an artist, choreographer and performer. What a privilege it was to begin and end everyday with dance and use the time in between to enjoy the spectacular countryside in italy. The teachers brought depth and unique perspective to their classes, and the other dancers brought variety from around the world. I will look back on this program with great fondness and gratitude." 'This was by far the best summer of my life, without exaggeration... Thank you." The most fulfilling experience I have ever had both in dance and for me personally. I have attended workshops with numerous well-known dance companies, who may deliver when it come to technical training, but the personal touch is nonexistent." SARANDON CASSIDY, professional dancer, Los Angeles, CA. "Un esperienza indimenticabile per un'italiana abituata ad altri metodi di lavoro nella danza, forse altrettanto validi, ma nei quali manca questo senso del gruppo, questa gioia di danza insieme, e soprattutto quell'energia positiva che e' uno stimolo per ogni danzatore a qualunque livello a migliorarsi, a confrontarsi, a dare meglio di se' e ad esprimersi pienamente. Arrivederci a ProDanza 2004!!!" Accommodation in the Villa Toscana or in one of the Hotels can be booked in any of our dependencies.